Inspirational and childhood memoirs of being broke and barefooted in Africa in the 1960s and the occasional film gossip and wondering why there's a salad on my head. An author's page. Free Kindle download for two days on AMAZON.COM. Please LEAVE YOUR REVIEWS!!!!! IT ALL HELPS!!!!!!!!!!!!!!!!!!!!!! After the abrupt disappearance of his father, young Mark finds solace in an unconventional upbringing within a close-knit South African community during the 1960s in this unique coming-of-age novella. Under the vast African sky, a young boy is forced to come to terms with a whole new reality. 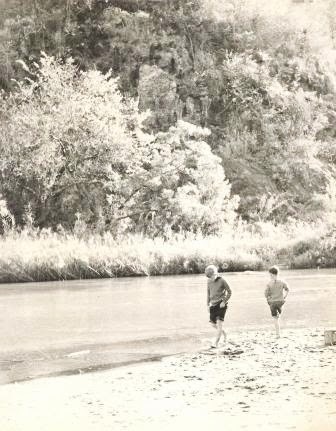 Abandoned by his father, his new playground is the open plains, and his new family, a deeply-rooted local community with some seemingly unorthodox ways—among them, Swazi warrior Mabuza, and stern, religious Afrikaner Meneer Gerber. But Mark soon finds that this unconventional upbringing might be exactly what he needs to fill the emptiness created by his life-altering loss. While he imagines his father fighting for his life in a distant hospital, the boy learns to find solace and hope through the wisdom and traditions of his new community—including important lessons about life, overcoming obstacles, and how to walk with bare feet. With equal parts insight, emotion, and humour, Two Feet takes a candid look at the realities of family life, while evoking the adventure and curiosity of childhood. The Swazi warrior Mabuza once said that if there are holes in the road you often travel, stop and fill them in, for this will help the man travelling behind you. And if anyone knows about navigating potholes, its young Mark —victim of a broken home, abruptly abandoned by his father, and struggling to deal with the loss. But under the guidance and protection of Mabuza, and others in his South African community, Mark learns to find solace and dream his way toward a brighter future—while adjusting to some unorthodox teaching methods along the way. Adventurous and inspiring, this film urges viewers to reflect on the concepts of childhood, family, and community. He is the author of The Bone Traders, a post apocalyptic story and Two Feet, a novella of his unconventional upbringing in Southern Africa in the 1960's. TWO FEET IS SELF- PUBLISHED ON AMAZON BOTH AS A PAPERBACK AND AS A KINDLE DOWNLOAD. When your future means living in the past. 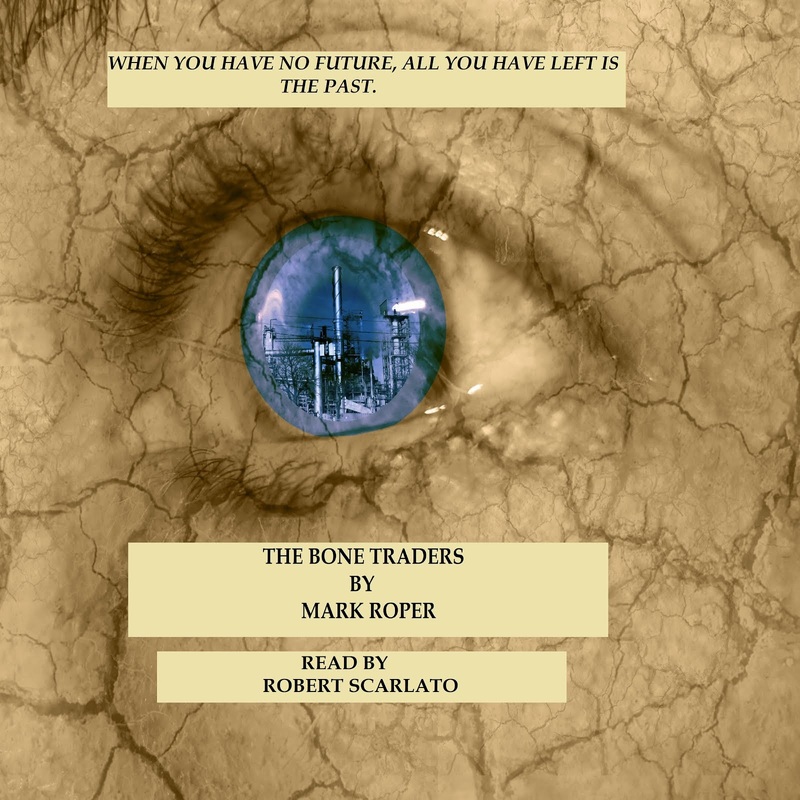 ....when your future means living by the means of the past -- on the heels of Mad Max, Mark Roper's novella and audio book offers an insight into a life after MOTHER NATURE has dealt her ace. A solar storm that has eradicated all access to media, energy and lifestyle as we now know it. The Bone Traders is about time; a hero that delves into the skeletons of the past in order to answer the questions of his and an ageing community's future. It asks questions. It is a what if scenario and the answer is left to the reader to respond. Read or listen to THE BONE TRADERS. Available on +Amazon Lovers Fan Page and Deal Watcher , iTunes and all audio book outlets. Available on Amazon -Kindle & paperback and in AUDIO BOOK.